Part of the Hugo Boss Celebration collection. 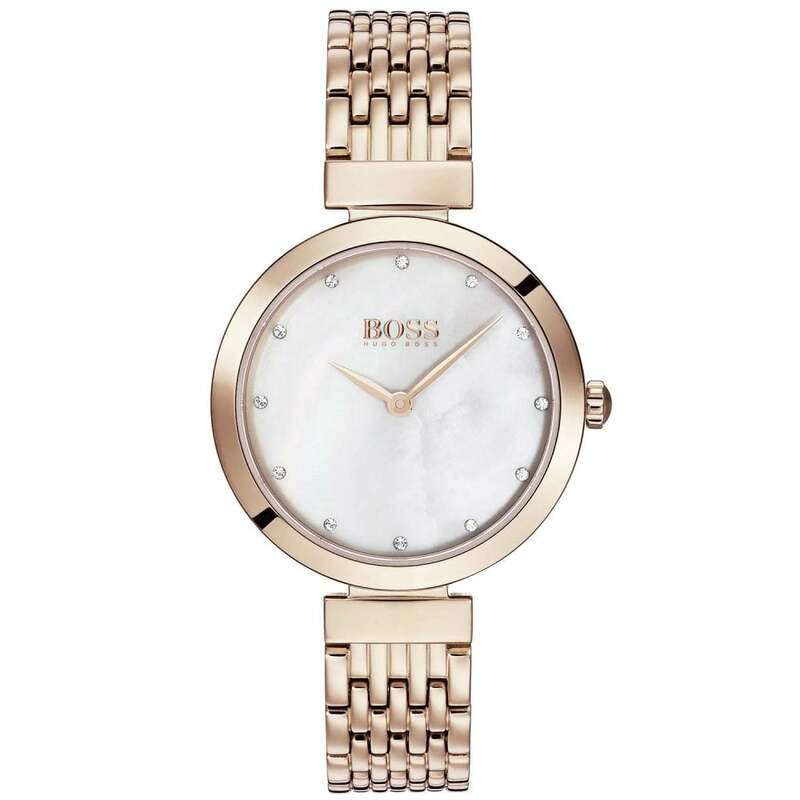 This Ladies' Hugo Boss Watch 1502480 which is available at Hillier Jewellers has a stunning mother of pearl, stone set dial. Hugo Boss Ladies' Celebration Watch 1502480 is supplied with a Hugo Boss gift box and free UK delivery.